Through his presentations, Dean has made a positive impression on many students, educators, and business and community leaders. And has made a lot of friends along the way, too! "I believe what he did was very selfless. I learned a lot about giving more then taking." "I was touched when Dean said, I would wake up and see something new each day and embrace it, not knowing if I would ever see it again, I want to make this phrase applicable to my everyday life." "Dean had many great words of wisdom, he has given me a new perspective about beauty and the similarity of people around the world." 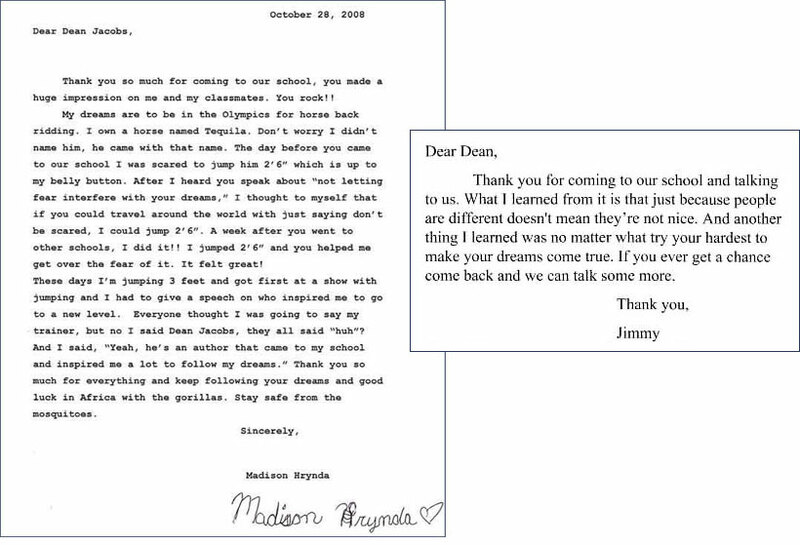 "Mr. Jacobs you have inspired me, brought me back down to get in touch with my own dreams. The ones I'm too afraid to even admit to myself. Thank you for that." 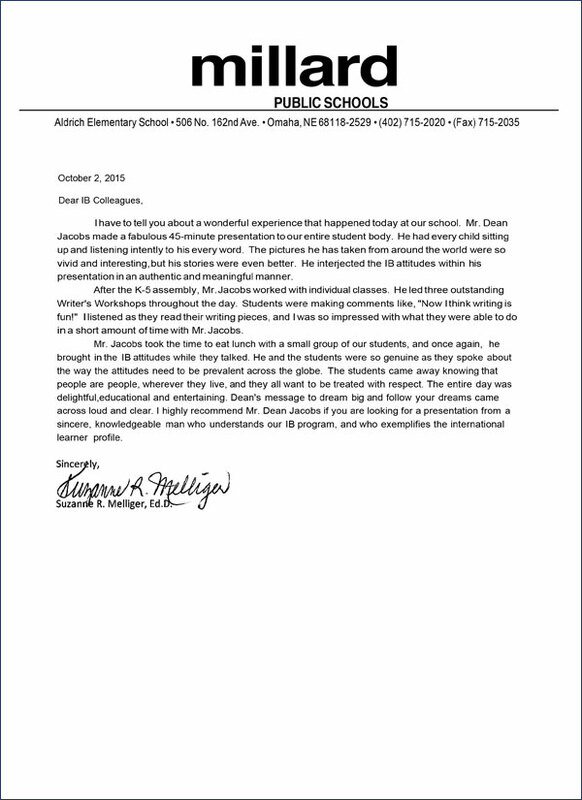 "The programs offered by Dean Jacobs offer a rich and unique learning opportunity for our Nebraska schools." 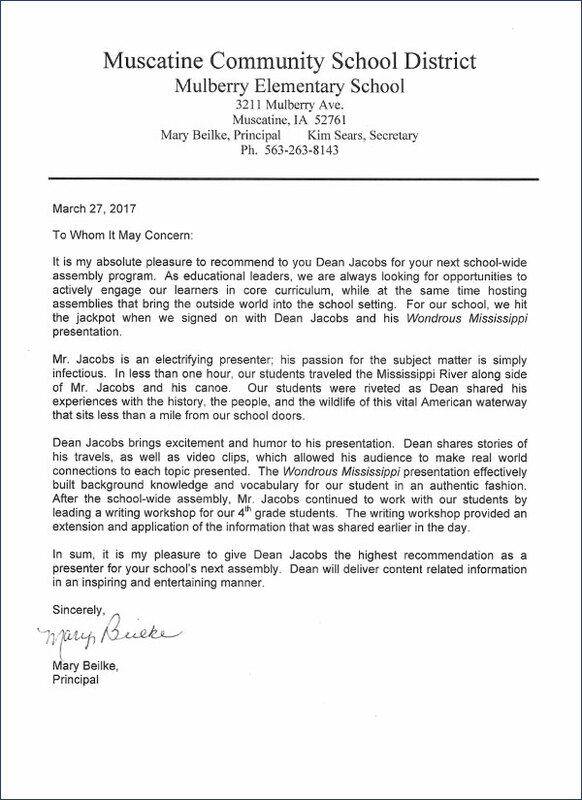 "As an educator, I cannot overstate the benefits of being able to "bring instruction to life" and bridging the gap between the classroom and the real world. 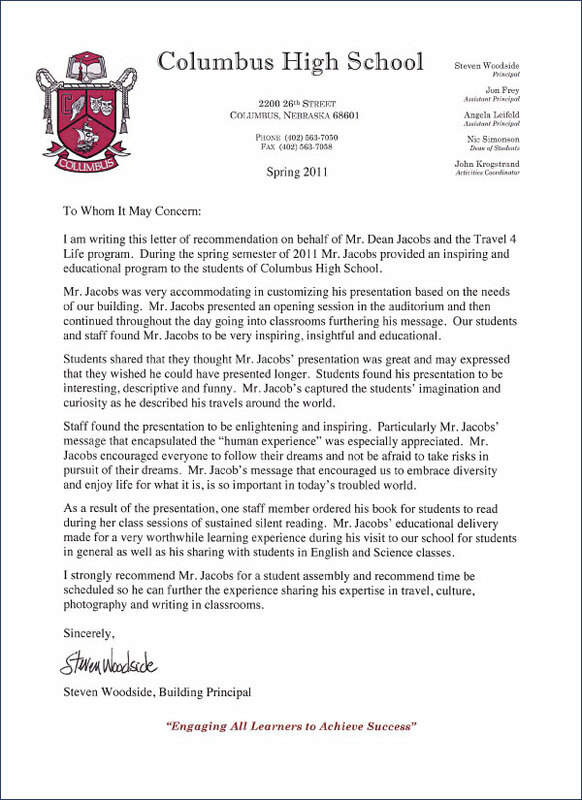 Dean's presentation and worldly experience easily facilitated this goal, and I would highly recommend him as a classroom speaker and enrichment source for any dedicated teacher. 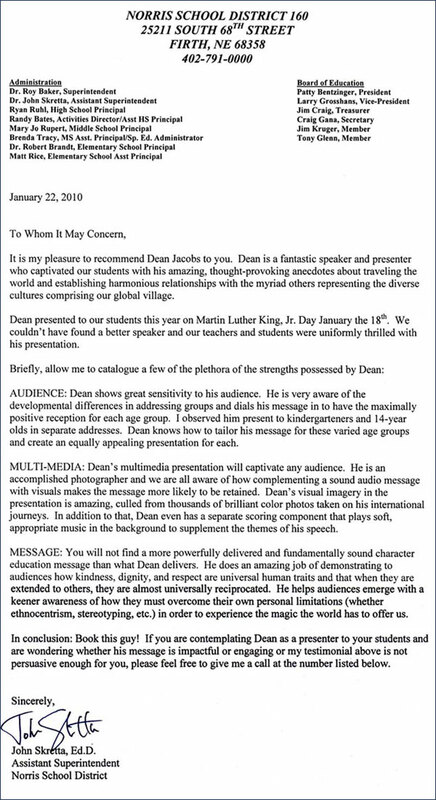 As a Social Studies teacher, I was honored to have Dean present to my classes and I can honestly say that I was impressed with every aspect of his journey. I only wish that every person could have the same opportunity to meet and better understand the diverse groups of people living in our world today." 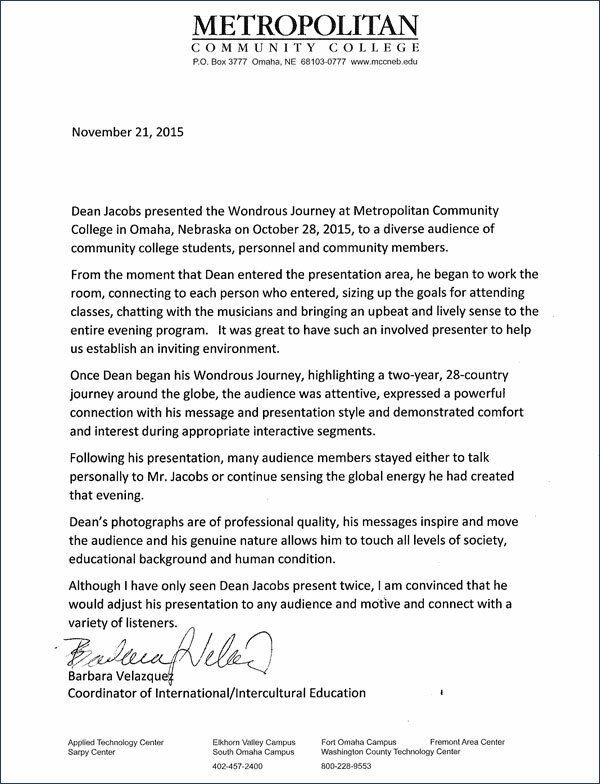 "Dean Jacobs was the highlight of the Nebraska Jaycee Year End Convention. Dean created a relationship with the attendees by sharing his real life lessons through his photos and his presentation about his seven wonders of humanity. Those who attended his presentation talked about it the rest of the weekend and his inspiration was found in multiple chapter newsletters as a lasting memory of the weekend. 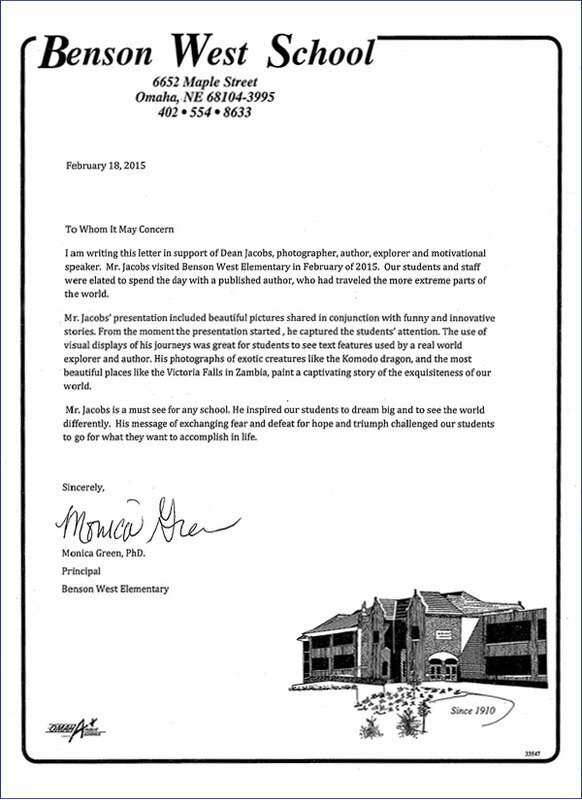 Dean took time after the presentation to answer questions and sign his Wondrous Journey book. It was exciting to see how intrigued the audience was with his stories, photos and life lessons. Dean challenged the audience to dream about their own journey in the Jaycee organization and beyond to their own personal lives. 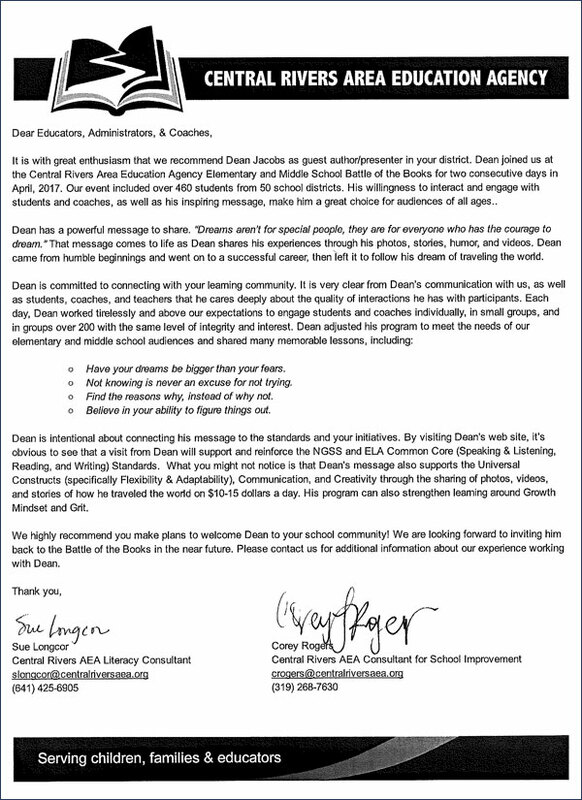 I highly recommend bringing Dean to your event for a keynote to remember!" "The Stanley Foundation has hosted Dean Jacobs on three occasions. The audiences were different: one was a conference for middle school students; another was a community and college campus presentation; and one consisted of 100 international (exchange) students studying in Iowa high schools. Dean was very flexible in both the content and delivery, adapting well to the needs of the listeners. Dean Jacobs' "Wondrous Journey" presentation is absolutely awesome. The photos are beautiful, and he uses them to tell stories covering the gamut of the human condition. His messages about humanity are important ones that are too-often overlooked or forgotten during jam-packed school and work days. 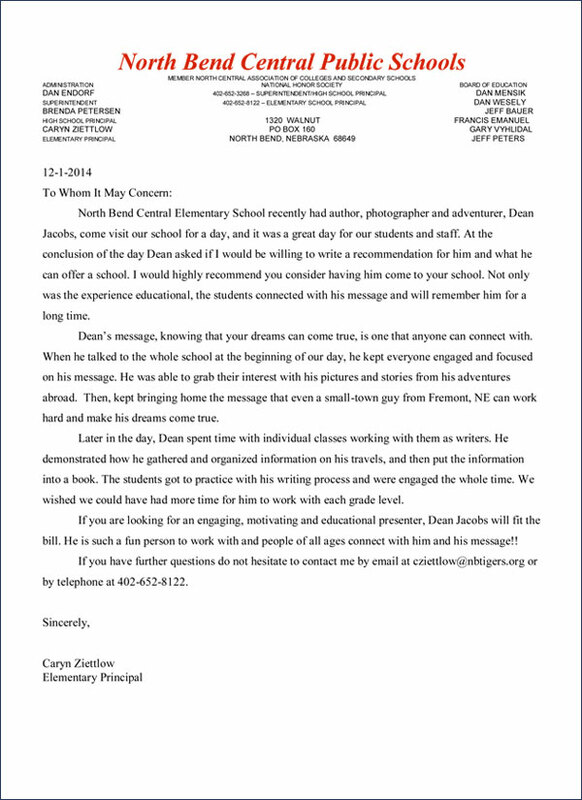 Dean Jacobs is a professional in every way. 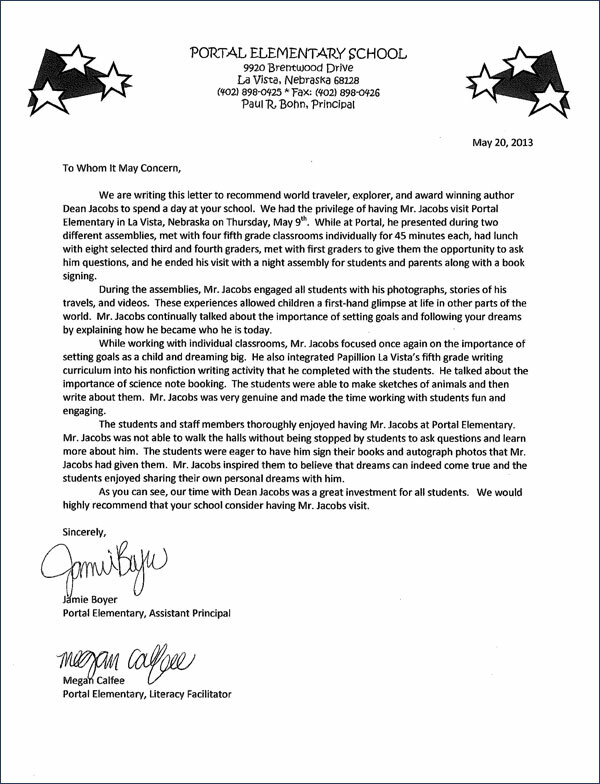 He was responsive to our requests and did everything he said he would do. 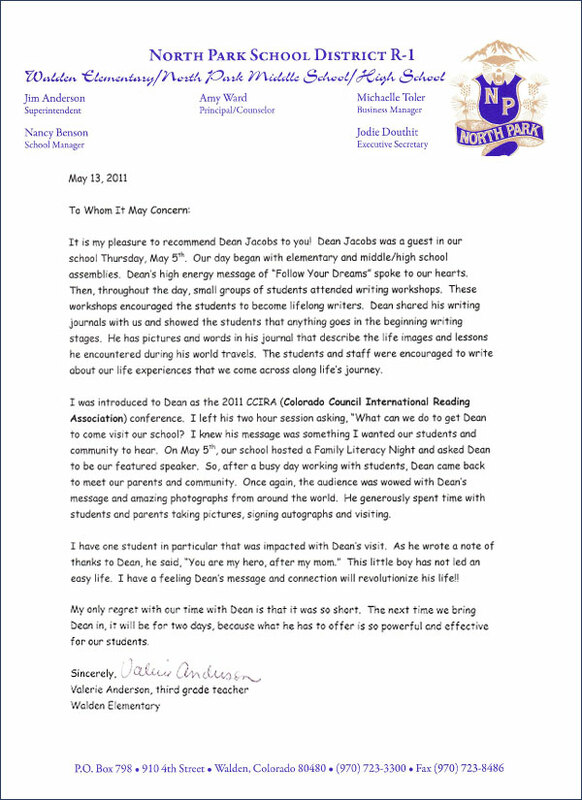 Dean is an inspirational speaker, and I highly recommend him for your next event."